Mobile is without a doubt “hot” in the social media sphere, retail space, and entertainment arena. 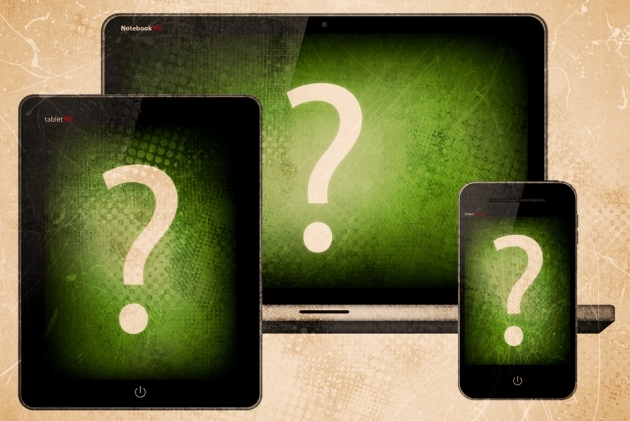 Do you know that “the next big thing” in mobile devices or platforms may be just around the corner at any given time? Are you prepared and ready? Mobile-savvy consumers are using mobile apps as part of their shopping, gaming, entertaining, and social experience. Mobile platforms have become a galvanizing force on the mobile apps industry. Don’t be afraid to get in the mobile game. 1. Determine Favorable App Platforms. Use them to help you shape your strategy, develop your apps, and create a great, differentiating mobile experience. Rethink and reimagine how you want your apps to be used, strategizing across platforms. Great mobile apps are architected from the user experience. a) App Platforms. What platform(s) are we going to build for? iOS? Android? Windows 8? b) Value-added ROI. Which platform(s) will allow us to create great apps that would generate the most money, the best ROI? c) Architectural Design. Which platform(s) with state-of-the-art design will allow us to build interactive, modern apps that are inviting and engaging for our target? d) App Stores. Which one(s) of our chosen platform(s) – Apple App Store, Windows Mobile Marketplace, Android App Market, BlackBerry AppWorld, Palm App Catalog, Amazon Appstore – have a store that potentially offers a substantial opportunity to build and sell our apps? e) Gaining Customers. Which platform(s) have proven record to connect us to the most potential customers and deeper customer engagement to drive and build loyalty through mobile channels? Which ones provide a natural focus on the customer? f) Scalability. Which platform(s) will provide us with the potential to create innovative mobile app use cases that no one else is doing yet? g) Technical Support. Which platform(s) will provide great technical support, customer support, and live chat? a) Do we have plans to build apps for iOS, Android, and/or Windows 8? b) Do we want to wait and see the opportunity provided by newer platforms or versions of platforms will pan out before we build for that platform? c) Do we want to get in early (be an early adopter) of the Windows 8 prospect? Early adopters are the most adept at effectively, efficiently, and judiciously using technologies as enablers often far earlier than their competitors and peers. a) Do we want a platform that we can build for with our existing skills, expertise, staff, physical, technical, and monetary resources, and budget? b) Do we want a platform that can provide high quality, well-designed, apps built with the customer’s experience in mind? Which cutting edge platform(s) proven to offer this? c) Which platform(s) can be used on many devices? Is it important for us to develop mobile apps with the flexibility to operate across multiple mobile platforms and devices? d) Which platform(s) have the potential to provide deeper customer engagement to drive sales? e) Which platform(s) provide clear guidelines and support for creating top-notched apps? f) What impressions do our targets have on each platform? Do they have a very positive, positive, average, below average, or negative impressions? What does the product footprint expansion look like? For example, iPhone is an established brand and fashion identity that gains and maintains customer loyalty. a) Do we want to offer paid apps, free apps, or both? All app marketplaces mentioned herein offer both paid and free apps. b) Do we want to have a phone client, desktop client, or both? c) Do we want multiple device support? e) What is our Return Policy? Some stores like Apple App Store and BlackBerry App World do not accept returns. Others like Android App Market and Windows Mobile Marketplace offer 24-hour return policy. f) What’s our desired developer share (revenue split) and fee? Which app stores are within our desired range? 5. Understand Pros and Cons. Every app store has pros and cons. Determine which ones are acceptable. Consider the pros and cons of each to understand how you can best leverage them. Compare them to each other. For example, some pros for the Apple App Store can be that they have a strong, trendy brand image, a simple purchase process via iTunes, and a great mobile UX. Unlike Apple App Store, Android App Market has a 24-hour return policy and open source roots. BlackBerry has a strong business brand. Microsoft Windows App Store has extensive branding with a lot of devices and existing apps. 6. Partner with Mobile App Agency. Consider hiring or hire a mobile app agency like Broadwave Agency that can help you build the best apps. Make sure to invest in the right App Agency with expertise in engagement platform technologies and comprehensive services. Choose the one that know how to use mobile platforms as enablers to take your brand to the next level and provide you with the opportunity to engage with your consumers at every step of their journeys. Your app agency should provide excellent mobile services by leveraging mobile as an efficient sales and service channel, focusing on customer needs. They can help you select an approach and mobile app strategy by helping you answer the above questions and identifying what you can invest. Once you include the above steps as part of your mobile app development strategy, you should then determine the tools for marketing your apps. There are a variety of social media channels for marketing your apps. Determine which ones best meet your needs: Facebook, YouTube, Twitter, Blogs, App Review Sites. Regardless of your mobile app strategy, your primary focus should be on empowering your consumers, employees, and partners with your context-rich, graphically pleasing mobile apps to entertain them, help them decide and act immediately in their moments of need, and connect them to your brand. Use technology as an enabler to take advantage of the opportunities it provides. Choose the right platforms to build for and the right app development agency so that your customers can use your apps and engage with your brand in the moments they need them most.